We keep chickens and rabbits. They are so much fun to watch. Angora babies are the newest to our family. No rabbits for us, but I may just have to add that to the list lol. I bet those babies are gorgeous. I usually enjoy citrus scents, but have been trying florals as well. I like citrus scents, too, not so much on florals lol. Good luck!! Aww, they sound so sweet. I love citrus scents- all my dish soap and body wash are citrus! Citrus scents are great!! Best of luck! I have a kitten named Matilda, she was one of a litter of six that we fostered! They needed quite a bit of medicine and TLC, but she is in great shape now! She sounds like a sweetheart – glad she’s doing better. Best of luck! I have had milk goats, jersey milk cow, meat rabbits, and chickens. Sigh all we have now is chickens but someday I want to have a milk cow again for our large family and also some Weiner pigs! Some of my favorite scents, too. Best of luck! I bet the cows love the attention from your cats. And I’m so very sorry about Snickers’ loss. My absolute favorite scent in the world is lavender….. I am crazy about lavender things 🙂 I also like peppermint… especially in the winter. Both great relaxing scents. Best of luck! I do like dogs a lot and huskies are my favorite. Huskies are such an awesome breed. And I have to say, I’ve had similar luck with fish lol. I like all kinds of soaps…especially lavender and anything that smells like fruit. I bet they’ll best of friends soon, and how great that Poly has Vince to keep her young lol. I don’t like a heavy, fakey floral scent. A light soothing floral is lovely. I agree citrus scents are wonderful! I also like “warm” scents like ginger, vanilla or cinnamon. Ooh, those are some good ones, too. Surprisingly we haven’t made a ginger soap, yet, but definitely on the list now. Best of luck!! I like oceanic scents. Thanks! We have a male Bunny! He’s generally very calm & friendly, my daughter loves him! I do, too 🙂 Best of luck!!! Great giveaway- I love citrus scents! My family runs a horse rescue so currently we have about 35 horses on the farm. I enjoy raising poultry and have a turkey, 5 geese, 3 ducks, 4 bantam chickens, and 10 chickens. Oh and a farm couldn’t be a farm without barn cats, I think we are up to 12 right now, it goes up and down because we work with animal control. They bring in young vetted/spay/neutered kittens every so often some stay and some are adopted to people looking for barn cats. It works out really well because our older cats teach the newbies how to hunt mice. Forgot my name and email. Sorry about that. Sounds like a wonderful farm, and you’re so right you gotta have those barn cats!!! Best of luck!! I have no farm animals! I wish though! Me, I am a dogs and cats person. we have 2 cats, and I have been taking in foster dogs. the latest one I think wee will be keeping. So nice of you to give them a great home 🙂 Best of luck!!! One of mine, too. Such a calming scent and great for soaps. Wow, that is an awesome list of pets. My list doesn’t have nearly that many different species on it, but it’s getting there lol. Your ranch sounds like it was an amazing place to live, by the way 🙂 Best of luck!!! I have a dog as my only animal. I got him for my son but he definitely loves me more than I love him but I am nice to him. They’re some of my favorites, too, which is probably why we just added a watermelon scented soap to our lineup lol. Oops, almost forgot. . . Best of luck!!! I really love citrus scented soaps!! Me, too. 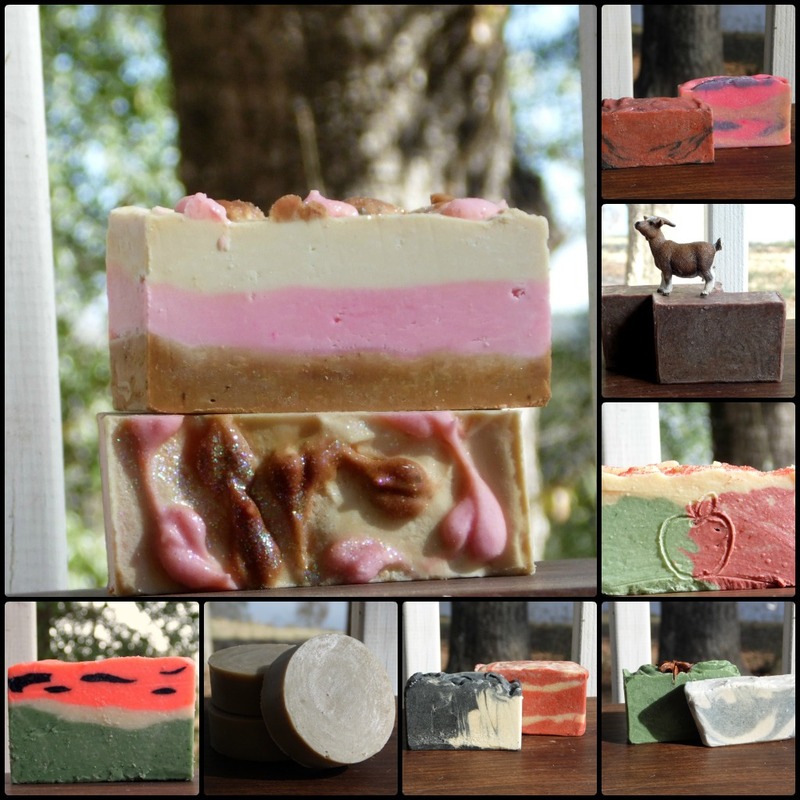 They always make great soaps, too. Best of luck!!! Fruity are my favorite scents! No farm animals yet. I would love to have a pig someday! They are my favorite animal! My family has a cat. His name is Mr. Waffles, he’s the color of waffle mix. He hates men and he loves waffles, he’s frequently eating(stealing) my sister’s waffles when she’s not looking! Pigs are definitely really cool – ours is named Tulip and it’s amazing how smart she is. Haha, Mr. Waffles sounds like a fun cat 🙂 Hope you get your pig someday soon and best of luck!!! We have chickens and a cow, and of course plenty of dogs and cats. My husband has his own favorite rooster, Warlock (or Gandolf as he calls him) who has a fluffy gray beard, brown “Fabio hair” feathers on his neck, and just recently started crowing last week. Hi there! I’ve so been meaning to PM you, but gosh the blog and everything has been keeping me busy. I’ll get around to it someday soon lol. Hope y’all are doing great and Warlock sounds super cool!!! I love lavender and honeysuckle scents and earthy scents like pine. All great scents 🙂 Best of luck!!! My dad has chickens at home, but I don’t have any farm animals. I do have pet though, it’s a hamster her name is Pin, and she loves corn. Awww, Pin sounds like a cutie-pie 🙂 Best of luck!!! No farm animals, but we do have a Sheltie mix who likes to herd other dogs at the dog park. My favorite are greens and oceanic! We live on my brother in laws property, which is a huge farm! So geese run through our yard everyday. There are chickens, horses. Goats have all passed, sad to say. Guineas (great for keeping ticks away). Oh, sounds like my kinda place lol. And you’re so right about guineas; I couldn’t imagine not having them. Best of luck!!! We have no animals right now…I always thought it would be fun to have chicken. Chickens are definitely cool animals, and the only pet that makes their owner breakfast lol. Best of luck!!! Pets are so easy to spoil, aren’t they? 🙂 Best of luck!!! So sorry for your loss 🙁 Best of luck!!! I have a bulldog. yesterday she ate my son’s mangos and blackberries. Haha, sounds like one of my dogs. He loves to counter surf for bread lol. Best of luck!!! i love Citrus scents, and herbal (woodsy) scents best. We have a Siamese cat named Mocha and a dachshund named Buddy. They love to chase each other through the house. Aw, sounds like they’re best friends 🙂 Best of luck!!! We have 2 cats, I dog, and 2 fish. I am looking forward to raising Chickens and goats after our move to Oregon this coming year. Oh, good luck with the move. I bet you can’t wait, and believe me, there’s nothing like enjoying fresh eggs and watching little goat kids bouncing around 🙂 Best part of living on a farm. Best of luck!!! I adore citrus scented soaps. They are so light and refreshing. A big favorite of mine, too. Best of luck!!! Love their names. Our pig is named Tulip, but she definitely acts like Miss Piggy lol. Best of luck!!! I prefer a floral scented soap. Lavendar or lilac are some of my faves. Also like fruity–apple or raspberry. All great scents. Love your comment above, by the way lol ;). Best of luck!! !